The UC Davis department of Neurosurgery will be hosting the first sEEG/ECoG Fieldtrip bootcamp, geared to researchers interested in processing and analysis of human brain electrophysiological data, with an emphasis on intracranial methods (sEEG and ECoG). Researchers with an interest in other neurophysiological data (EEG, MEG) will still benefit from most portions of the bootcamp, but some of the course sections will be exclusively devoted to the analysis of intracranial data. The course is aimed at researchers that have already performed ECoG/sEEG data acquisition and have a good understanding of their own experimental design. Attendees should be comfortable with MATLAB basics. Registration is limited to 30 participants. The deadline for registration is March 13, 2019. The course will take part as a 3-day toolkit course covering preprocessing, frequency analysis, connectivity and various statistical methods. 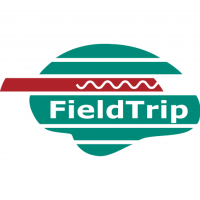 The toolkit will consist of a number of lectures, followed by hands-on sessions in which you will be tutored through the complete analysis of an intracranial data set using the FieldTrip toolbox. There will be plenty of opportunity to interact and ask questions about your research and data. On the final day you will have the opportunity to work on your own dataset under supervision of skilled tutors. A preliminary course syllabus is available. When: 20-22 March 2019. Last day to register: 13 March, 2019. Registration and refund policy: please register using the button below or check the registration web page. For more information, check the practical details page.